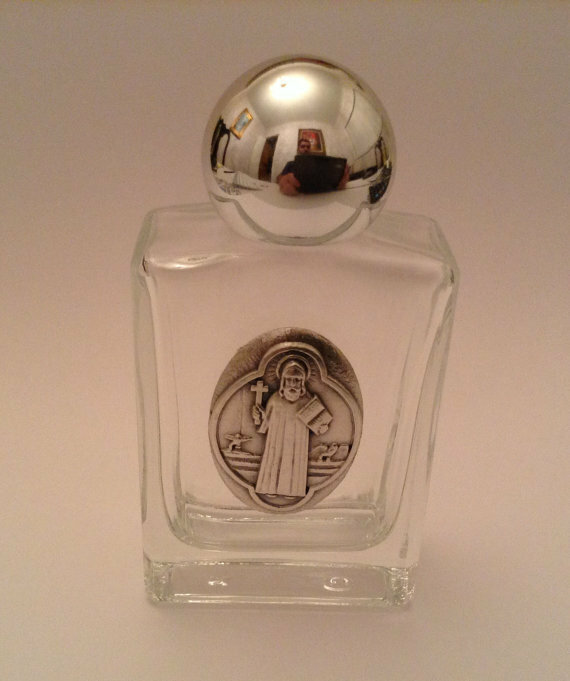 This St. Benedict Holy Water Bottle is made of glass and features a silver metal medallion that depicts St. Benedict. It's the perfect size to carry with you and be used as a daily reminder of your faith. A symbolic item that can be treasured for years to come! Rectangular in shape and measures 3.25"H x 1.75"W x 0.75"D.
Medallion is oval in shape and measures 1 1/2"H x 1"W.
Medallion features a silver tone image of St. Benedict.. Holds 1 ounce of water (water not included).